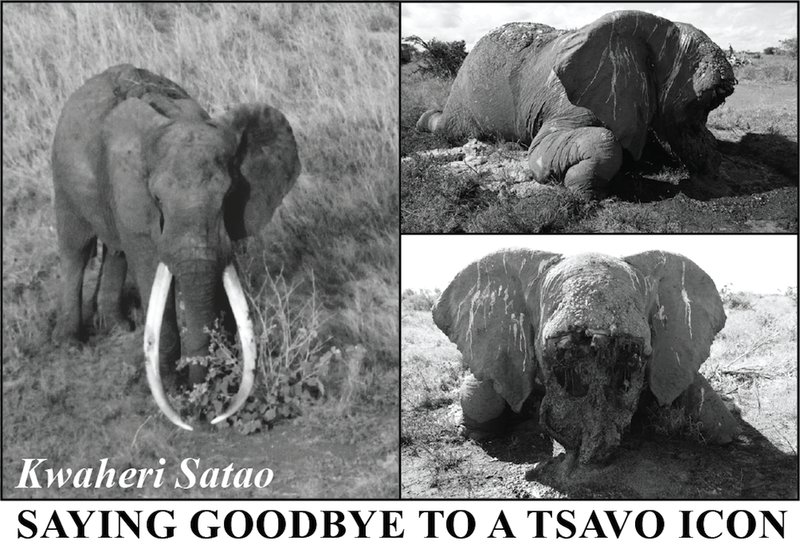 With great sadness, we report the death of Satao, one of Tsavo’s most iconic and well-loved tuskers. 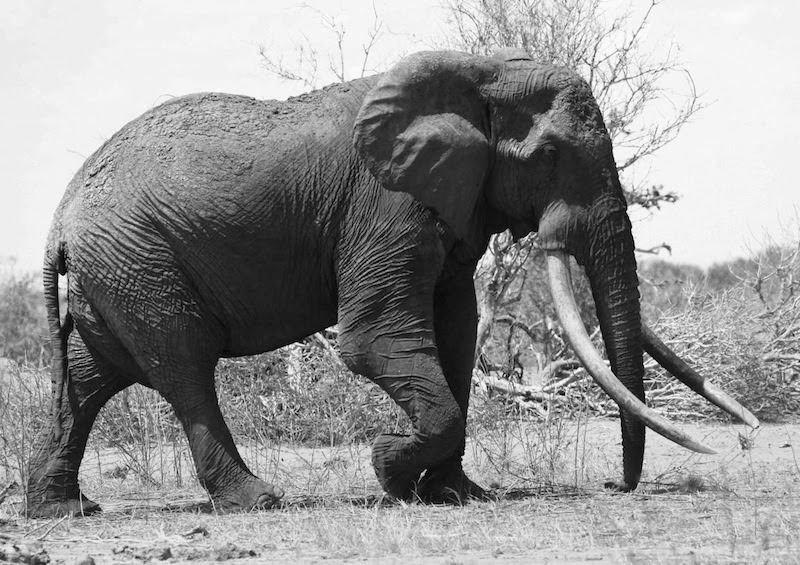 This magnificent elephant was widely known in Tsavo East National Park, where he was observed with awe by many thousands of Tsavo’s visitors over the years. No longer will Tsavo and Kenya benefit from his mighty presence. Satao was shot dead by poisoned arrow on 30th May 2014. The arrow had entered his left flank and he stood no chance of survival: a great life lost so that someone far away can have an ivory trinket on their mantelpiece. At times like this, it is hard to see any positive side to the situation. But let’s not forget that Satao’s genes survive out there, somewhere in the Tsavo elephant population and they too need protecting. Satao would have been at least 45 years old. During his lifetime he would have weathered many droughts and seen many other poached elephants, and he would have sired offspring that, given a safe environment to grow up in, may become tomorrow’s generation of great Tsavo tuskers. It is hard to put a value on the level of cooperation and coordination demonstrated between the Kenya Wildlife Service (KWS) field units and TSAVO TRUST. 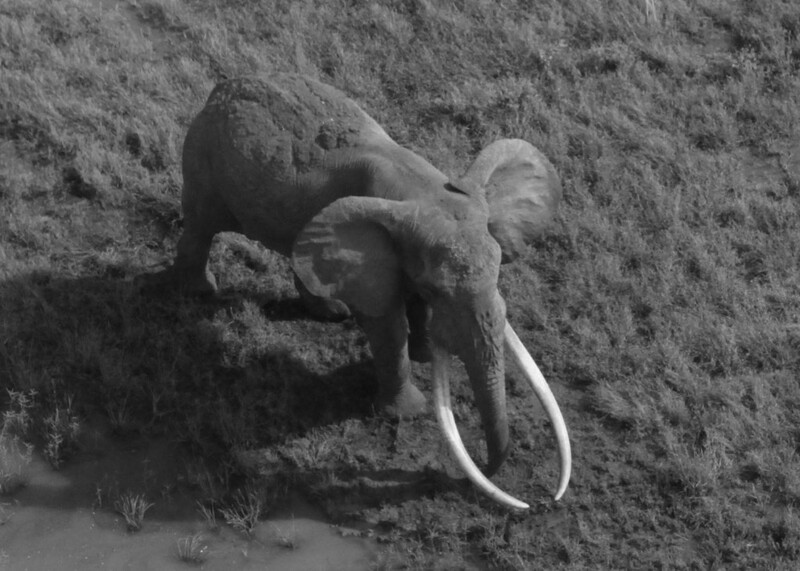 Without the regular joint KWS / TSAVO TRUST aerial reconnaissance flights over this section of the Park, Satao’s carcass may not have been found, and as a result KWS’s swift and successful follow-up may not have ensued. Following TSAVO TRUST’s report from the air, KWS ground units were immediately deployed. The KWS reaction was rapid and decisive, and is still ongoing. Due to the sensitivities of such operations and the risk of compromise, we cannot comment further on the progress being made. We hope to relay additional updates in due course. Meanwhile, we applaud KWS’s success in arresting the main poison dealer and supplier, whose deadly product has been the cause of many painful and wasteful elephant deaths in Tsavo. Working together – and often against the odds – we can continue to make a positive difference to Tsavo and to Tsavo’s elephants. Tsavo is our home, our passion and our life’s work but, as the untimely death of Satao so tragically proves, we cannot win every time. Rest in peace, Old Friend, you will be missed. Rest assured the fight to protect Tsavo’s elephants goes on.